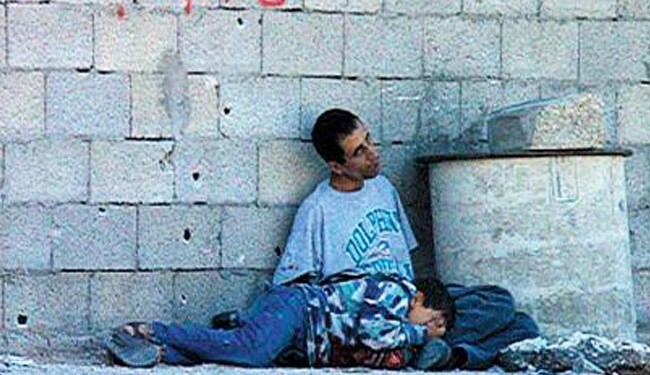 Mohammed Al-Durrah,12, killed by an Israeli sniper on September 30, 2000. But Mohammed and Nassir — and thousands like them — are not mere numbers; they have more in common than simply being the ill-fated victims of trigger-happy Israeli soldiers. In that single line of blood that links Nassir al-Mosabeh and Mohammed al-Durrah, there is a narrative so compelling, yet often neglected. The two 12-year-old boys looked so much alike — small, handsome, dark skinned refugees, whose families were driven from villages that were destroyed in 1948 to make room for today’s Israel. Young as they were, both were victims of that reality. 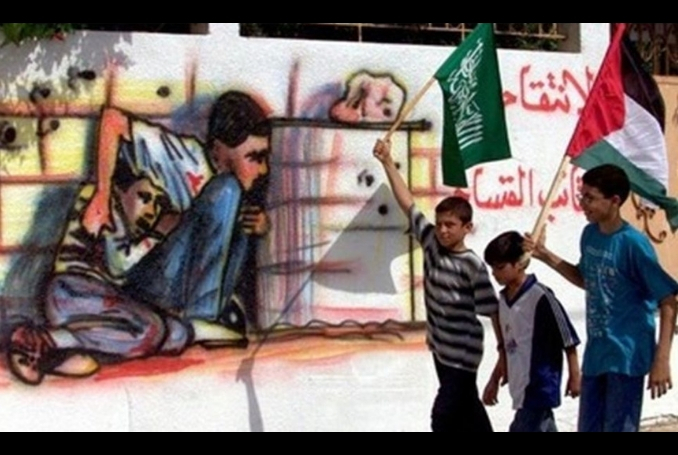 Mohammed died while crouching by the side of his father, Jamal, as he beseeched the Israelis to stop shooting. 18 years later, Nassir walked with thousands of his peers to the fence separating besieged Gaza from Israel, stared at the face of the snipers and chanted for a free Palestine. Between the two boys, the entire history of Palestine can be written; not only that of victimization and violence, but also of steadfastness and honor, passed from one generation to the next. “Who will carry on with the dream?” were the words Nassir’s mother repeated, as she held a photograph of her son and wept. In the photo, Nassir is seen carrying his school bag and a small bottle of rubbing alcohol near the fence separating Gaza and Israel. In a recent video message, the young boy — who had just celebrated the achievement of memorizing the entire Holy Quran — demonstrated in impeccable classical Arabic why a smile can be considered an act of charity. Protesting the Israeli siege and the injustice of life in Gaza was a family affair and Nassir played his role. His innovation of taping raw onions to his own face to counter the tears induced by the Israeli army tear gas garnered him much recognition among the protesters, who have been rallying against the siege since March 30. Nassir was the 34th child to be killed in cold blood since the protests commenced, and will unlikely be the last to die. Many were shocked by the degree of Israeli hubris and the brazenness of their mouthpieces around the Western world who repeated such falsehoods without any regard for morality or, even, common sense. 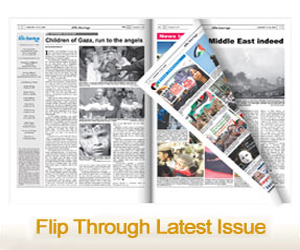 But the Israeli discourse itself has been part of an ongoing war on Palestinian children. “That is not the way to prepare children for peace,” he wrote last year. 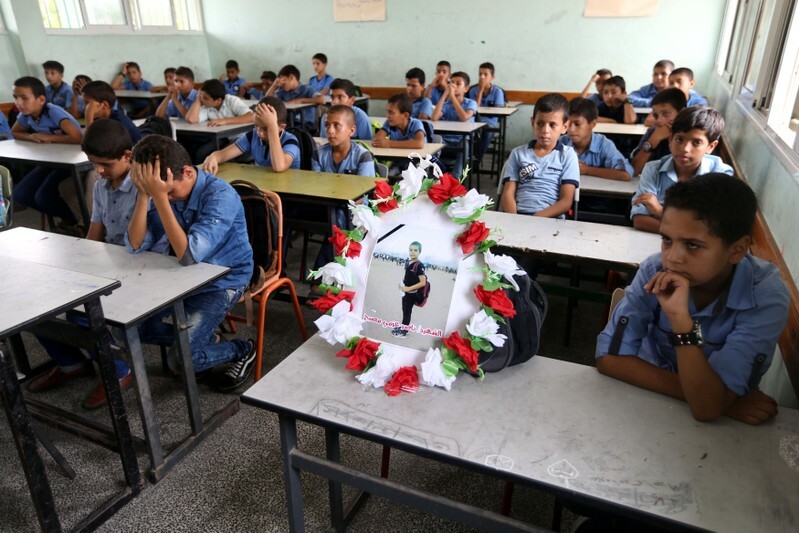 The U.S.-Israeli propaganda has not just targeted Palestinian fighters or factions, but has done its utmost to dehumanize, thus justify, the murder of Palestinian children as well. Previous article What does it mean to be an American?